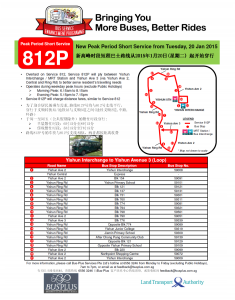 Peak Period Short Service 812P was a PPSS bus route from Yishun Central and looping at Yishun Avenue 3, passing through Yishun Ring Road and Avenue 2. Operating during weekday peak hours, it runs alongside Intratown 812 and alleviates crowding on high-demand sectors during peak hours.The route commenced operations on Tuesday, 20 January 2015, operated by Bus-Plus Services Pte Ltd. 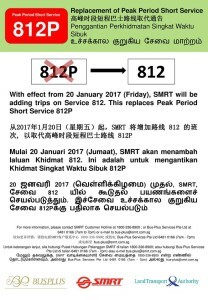 Peak Period Short Service 812P was withdrawn from 20 Jan 2017. The last day of operations was on 19 Jan 2017. Service 812P duplicates the west loop of Intratown 812, serving between Yishun MRT / Interchange and Yishun Avenue 3. 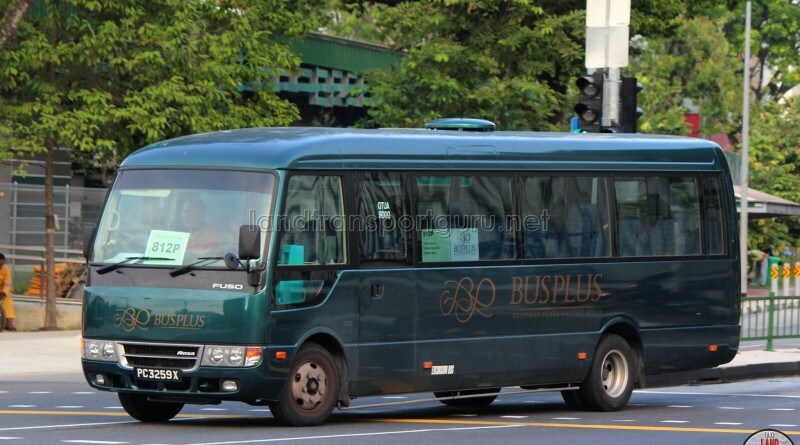 Operated using private buses from Bus-Plus Services Pte Ltd, the route helps to relieve frequent overcrowding on Service 812. It is the 14th PPSS service to be introduced, commencing operations alongside Service 811P on Tuesday, 20 January 2015. Due to the opening of Yishun Temporary Bus Interchange from 14 Mar 2015, Commuters taking 812P are to board at Bus Stop 59161 Opp Blk 201 Yishun Central near Yishun Temp Int Berth 7. 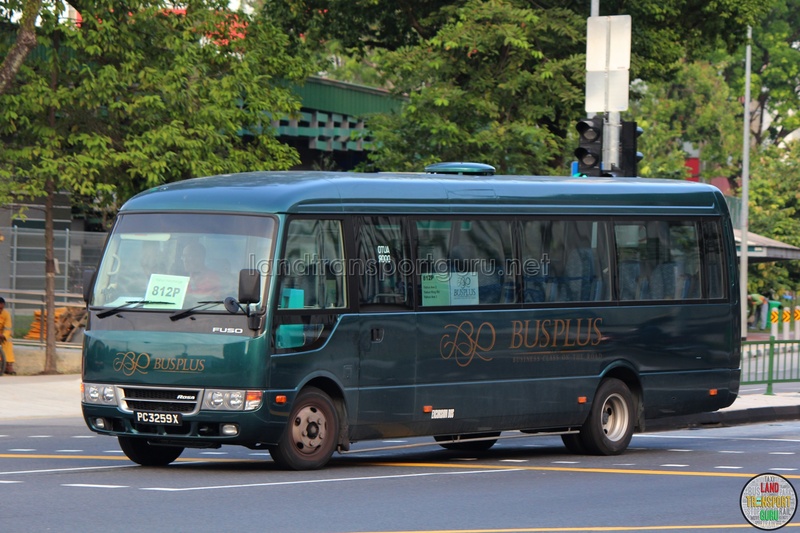 With the transition to the Bus Contracting Model (BCM), PPSS 812P will be withdrawn from 20 Jan 2017. Additional special departures of Service 811 from Opp Blk 201, Yishun Central to Yishun Temp Int via Yishun Ave 3 during weekdays AM & PM Peak Hours will be added to replace this service. More information at Changes to PPSS. Fare: Basic fares capped at 3.2km. See Bus Fares. 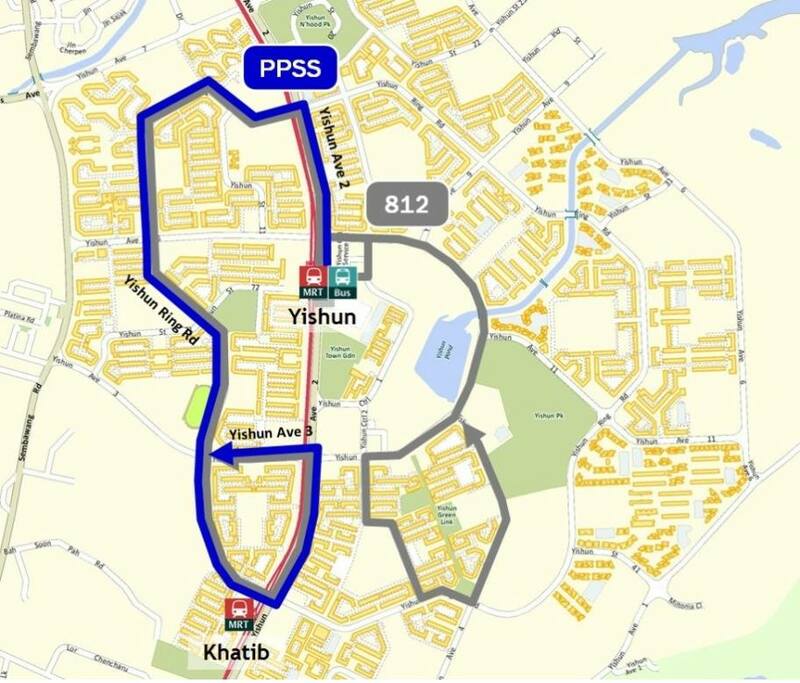 Fleet: Service 812P′s fleet fully comprises private buses from Bus-Plus Services Pte Ltd.
2015 (20 Jan): Introduced as a PPSS route from Yishun Int and looping at Yishun Ave 3 under the BSEP.